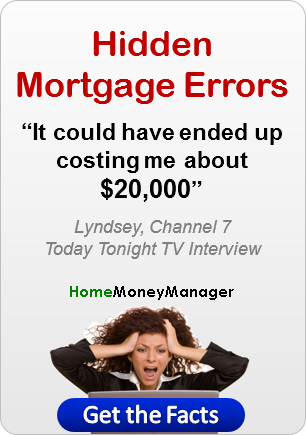 Australian mortgage audit software for the homeowner - download free today and check your mortgage for interest errors. This mortgage watch software will find them! Since 2004 Home Money Manager has been developing software to help homeowners, property investors and individuals manage their finances and take control of their debt. Our products are designed and build right here in Australia, and we are best known for our award winning mortgage software Home Loan Manager Pro, and our credit card expense tracker Home Credit Card Manager Lite. The perfect settlement gift for your clients. A value-add to compliment your service or product. An extra way to entice clients to your seminars or one-on-one meetings. Something to revamp your direct marketing and social media campaigns. ... then contact us today and find out how easy and affordable it is to reward each of your clients with the award winning Home Loan Manager Pro. With this mortgage software you can track, plan and manage all aspects of your mortgage, check the accuracy of your interest charges, and discover how to pay off your mortgage sooner. With this credit card software you can find out exactly where your hard-earned money is being spent. Simply match your credit card statement transactions to the categories provided, then use the reports to group and sort the information. With this FREE credit card manager you can categorize the transactions on your credit card statements. With this bundled product you get the mortgage software and the credit card software for the one low discounted price. "Hi Matthew, Thank you, thank you, thank you, so much. I got the St George transactions to import without a problem ... It is so easy when one does it right. 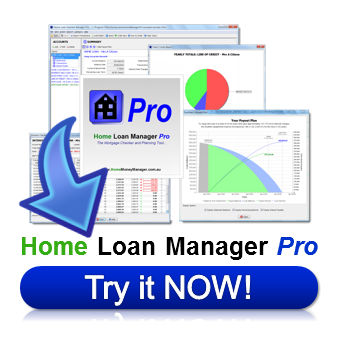 It is so good to know that I have back up support should I get stuck with anything on the Home Loan Manager Pro, I am glad I bought this product over any other brand." "I feel that anyone with a mortgage should be using this software." "This mortgage software guaranteed to show you how to cut years off your mortgage and save thousands in interest charges"
"I am just writing to say how impressed I am at both the speed and quality of the response to my email. I work for a large software company and I know that our customers would love to receive this level of service." "Instantly see the impact of interest rate changes on your mortgage repayments, simply click the interest rate rise report"
"I found the software to be very good and easy to use. It did prove useful in checking a particular situation I had and provided me with the results I was looking for." "Use this mortgage checker to protect your mortgage and loans from bank errors and interest overcharging"
"I checked out all the figures again. The errors that happen from 2011 onwards are because when the building society added my 'lost' payments they did not make any attempt to correct the interest. Payments and lost interest makes a total difference of $778.04. I now feel confident to approach the building society and request that they amend it. Once again, Thank You Very Much :-)"
"This is genuinely how I feel about the product and your service ... I have been a user of the Home Money Manager software now for over 7 years, and absolutely love the program! Prior to installing this program, I had looked at a variety of other options, but none met my needs like this one did. It's simple to set up, easy to use and super reliable. Alongside this, the customer service is awesome - it's responsive and personal and is a great match for a great software product. Highly recommended. Thank you Matthew and team." "Make sure you are not paying for your lender's mistakes! Download the free trial to audit your mortgage today with this mortgage watch software"
"I find the mortgage software to be excellent and will continue to use it and would be happy to recommend it to family and friends." "Great interest checker program. Very pleased with it - particularly the Auto-Matching / Learning feature, it's a real time saver. I installed the software and trialled it quite satisfactorily without reading the manual, which I find a good preliminary test." "Discover the true cost of your loans and mortgage, by running the mortgage summary reports"
Thank You For a Brilliant Programme! 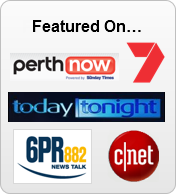 "I saw the segment on Today Tonight this week in relation to your product for Home Loan Manager Pro. Thank you for a brilliant programme - I have had issues with a bank before and think that a programme like yours is necessary." "This mortgage audit software works with loans from all major Australian banks, credit unions and lenders, including the Commonwealth Bank, NAB, ANZ, Westpac, St George Bank, RAMS, ING, BankWest, Aussie Home Loans, Suncorp , Adelaide Bank, Bank of Queensland, Wizard Home Loans and many more." "I searched the net for this kind of application and decided upon your product. It does exactly what I require and I found it intuitive & easy to use - thankfully! So far no errors have been detected on my mortgage; great product..."
Read more home loan interest checker success stories. "Bank's errors are now known to add up to hundreds of millions of dollars every year. Now there is help, a computer program that can check your monthly statements and find the mistakes." Want to find answers to these common bank mistake questions? 1. Which Bank Mistakes Software Should I Use? 2. Why Check For Bank Mistakes? 3. What If I Find A Bank Mistake? 4. How Often Do Bank Mistakes Happen? 5. What Type Of Bank Mistake Occur? 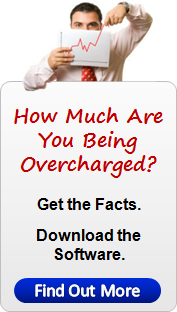 Get the #1 Ranked mortgage audit software and check that you are not one of the thousands being overcharged EVERY DAY? Download and try it free now. Mortgage Audit Software - What Next? Mortgage Audit Software - Hidden Bank Errors, Get the Facts. 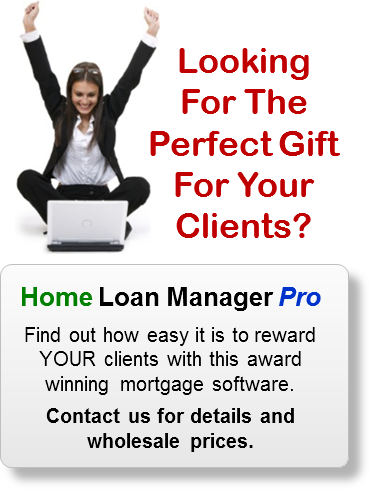 Mortgage Audit Software - Download and Try the Software Free. Mortgage Audit Software - Watch the Getting Started Tutorials.